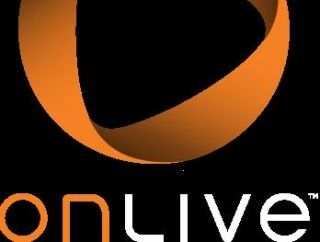 Cloud-gaming service OnLive is set to work on your mobile phones as well as your netbooks and laptops and desktop PCs soon, according to the company's boss. OnLive CEO Steve Perlman was showing off a tech demo at a financial conference in New York this month. Perlman showed OnLive running simultaneously on two iPhones, a TV, and a computer at a Wedbush financial conference in New York. "What is really cool is that all four devices had access to the full OnLive Game Service, so they could play the same games, spectate on each other's (and beta users') gameplay, watch Brag Clips, check out Gamer Profiles, etc" said the OnLive man. Perlman did admit that playing 'power PC' games on a mobile or handheld internet-capable device is not really practical yet, but stressed that such devices can be used for gamers to check out the "community and social elements" of OnLive, or just watch your mates playing. "I'm afraid we are not announcing a date for availability of OnLive on particular cell phones just yet," Perlman said. "We have further development to do, and we need approvals from some cell phone makers before we can release OnLive to the public. So, for now, OnLive on a cell phone is only a technology demo."